The Greatest Showman: Movie Clip - Who's That? Hugh Jackman talks about his battles with skin cancer and how he performed during a presentation of The Greatest Showman, despite the advice of his doctor. Looking for movie tickets? 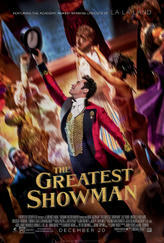 Enter your location to see which movie theaters are playing The Greatest Showman near you.